Conor Grennan is the founder of Next Generation Nepal (NGN), a nonprofit organization dedicated to reconnecting trafficked children with their families in post-war Nepal, and the author of the New York Times best-selling memoir Little Princes: One Man's Promise to Bring Home the Lost Children of Nepal. Little Princes (William Morrow) has been shortlisted for the Dayton Literary Peace Prize, was the winner of the Goodreads 2011 Best Travel and Outdoors Award, is a #1 international best-seller, and has been translated into 15 languages. Since NGN's inception, the organization has helped reconnect more than 500 children with their families. Prior to starting Next Generation Nepal, Grennan spent eight years at the EastWest Institute, both in Prague and in Brussels, in the role of Deputy Director of the Program on Security and Governance, where his projects focused on peace and reconciliation in the Balkans. Today, Grennan serves as the Dean of Students for the MBA program at New York University’s Stern School of Business, where he is responsible for more than 2500 full-time and part-time MBA students. For his work with the trafficked children of Nepal, Grennan has been recognized by The Huffington Post as a 2011 Game Changer of the Year. In 2014, he was also named a recipient of the Unsung Heroes of Compassion, which was awarded to him by His Holiness the Dalai Lama. Grennan is a graduate of the University of Virginia and the NYU Stern School of Business. Currently he resides in Connecticut with his wife Liz and his two children, Finn and Lucy. "Conor, Scarlet Oaks cannot thank you enough for the time you spent visiting our campus and speaking with our senior English students. Although we've done our senior read for the past seven years, we believe that your visit has been the most memorable and the most life-changing for our young people. During that day you spent with us, and then into the following last days before they graduated, the students excitedly talked about you, your stories, and how you took the time to answer their questions with such depth and passion. For these young people to be transformed from outside their own selves to a place of caring for others and others of another culture is no less than life altering. Remarkably, many of them are now aware of how possible travel is and several have plans to study abroad when they get to college. In addition, many of them have set goals to leave their own small communities for the first time in their lives and visit other places near and far. We senior English instructors thank you for supporting our senior read and for being a bridge into the adult world of literature and life for our young people." "In short, Conor was sensational ... his talk was one of the best author talks I have ever seen (and I have seen a lot). He ended it with a portion really tailor-made and personalized to our audience and it was just wonderful. [We've] brought in Vonnegut, Sontag, you name it, and we filled the huge orchestra hall every time. But all of us agreed that Conor -- and his message -- was better than any of them. If he writes another book, I'll do everything I can to get it selected for the Freshman reading. I've been getting emails all day from students who were there telling me how much it affected them." "The University of Calgary's Common Reading Program, a shared academic experience that encourages each student to reflect on their role as a student and a citizen, presented each new 2011 student with a copy of Conor Grennan's book Little Princes. When Conor delivered the keynote address during their induction ceremony, his inspirational and accessible approach, his ideas and his insights prompted 5000 students to give him a standing ovation. Conor personifies those qualities of leadership and return to community that we encourage at the university; he has already inspired our students to set up a fundraising drive to give back to the community ... This extraordinary young man is a profound example of how one person can make a difference in the community, and how one's actions can have a huge impact and inspire so many others to do the same." 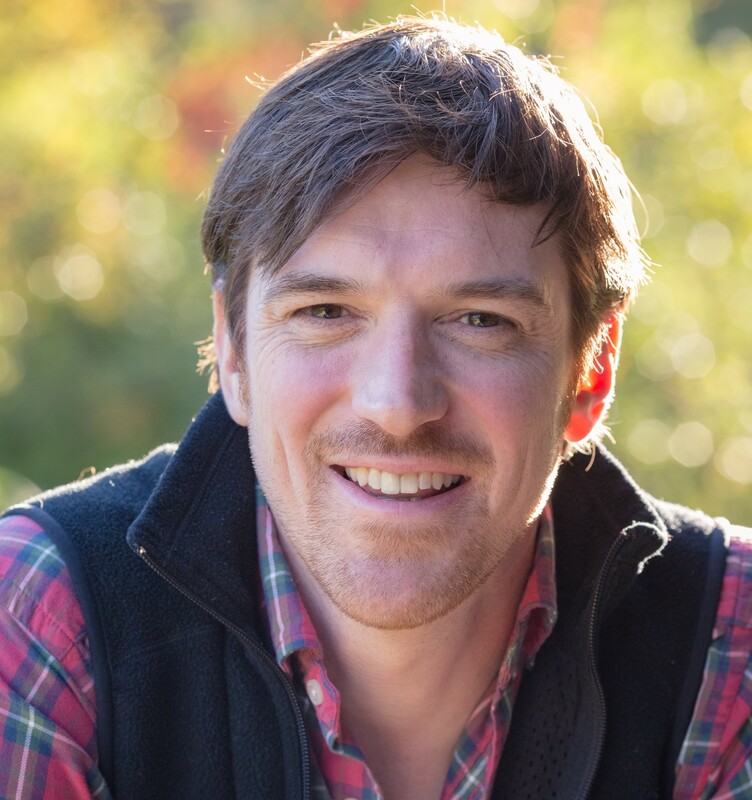 "Conor Grennan is an engaging and entertaining speaker whose quick wit and unpretentious manner reinforce the power of his story. He speaks especially effectively to young adults in terms they relate to while making clear his belief in finding yourself through service to others -- whatever the initial motive to that service might be." "Reading Conor Grennan's Little Princes with my seventh grade students was tremendously rewarding for all involved. My students' natural curiosity was piqued and they quickly became personally invested in Conor's and the orphans' experiences. My students were genuinely intrigued by the stories of the individuals involved, and they were captivated by the cultural differences and injustices that Conor brought to light. A heightened cultural awareness resulted as was an appreciation for the many advantages my students are fortunate enough to enjoy as a result of their more secure upbringings. Conor's rapport with this age group was excellent. He was engaging and showed genuine interest in the students' many questions. There was a mutual respect and speaker and audience related beautifully. Students were compelled to wonder how such injustices continue to be perpetuated and how they can help the children of Nepal. My students were truly inspired by Little Princes and Conor himself." "Conor has a gift for communicating with young people a very authentic way. Not only did over five hundred Collegiate middle school students give him a standing ovation following his presentation on the Little Princes Children's Home and Next Generation Nepal, these same students are now inspired to serve in the local Richmond community and in larger world community." "Conor visited the Delbarton Community on two occasions. When the School selected his book Little Princes for our All-School Summer Read as a vehicle to further our goal of developing global awareness, we were fortunate to have Conor introduce the book himself. And so, during a Skype interview last spring 2011, Conor appeared to our students and faculty as a "huge floating head" on the auditorium screen, promoting his book and its message. He was very well received by the students and he thankfully built a lot of excitement for the summer reading. This second appearance in person on November 2011 was also a big hit." "Conor was terrific -- easygoing, very fan-friendly, a charismatic speaker... this year's All Fairfax Reads selection has been one of the most popular so far. [He] was an all-around fantastic speaker -- personable, charismatic ... The audience loved the way he included so many captivating slides from his travels in Nepal." "Conor was fabulous yesterday! We REALLY enjoyed him. I've been teaching for 14 years and have seen my share of assemblies. Conor's presentation got THE BEST response I've ever seen! The kids ALL had positive things to say about him: how nice he was, how real, how personable, how much of a hero he was. Middle school kids are brutally honest, so this is a huge compliment. Conor really is 'the complete speaking package' ... nonfiction, social studies, volunteering, and a genuine personality. It was such a special day for us to have Conor. When I read Conor's book in my book club, I thought it was a good read, but the more and more I thought about it in the months after, I realized it was a great read and it was an incredible thing Conor had done for those families in Nepal. This whole social atrocity just seemed to fall in his lap; he was obviously the chosen one for this heroic work. As I listened to Conor speak to a mesmerized group of middle school students, I couldn't help but think he was insanely brave to return to Nepal when many would've turned their backs. I'm not sure I would've had the courage to return myself, but I'm so glad he did. He has changed the world thanks to his integrity -- a feat not many can claim. Conor inspired us all today to do more with our lives. It was a great day for my school and the buzz about Conor continues." "Conor's presentation was extremely relevant and embraced the theme of our YMCA Peace Medal Breakfast, which was to honour individuals that foster a Culture of Peace in our community. He was engaging and captured hearts of the audience. His story was relevant and demonstrated to the young people in our audience that we all can make a difference in the world." "Conor Grennan was the perfect pick for UNCG. Through his presentation, our students were able to take a book and bring it life and connect it to their goals. Conor is engaging, funny, and keeps it real. Students now have more confidence in how and why to serve...they better understand their own motivation." "The beauty of this book is partly the fact that it is a memoir. But it is also more than that. I defy you to not be inspired or moved by this saga." "Funny, touching, tragic. 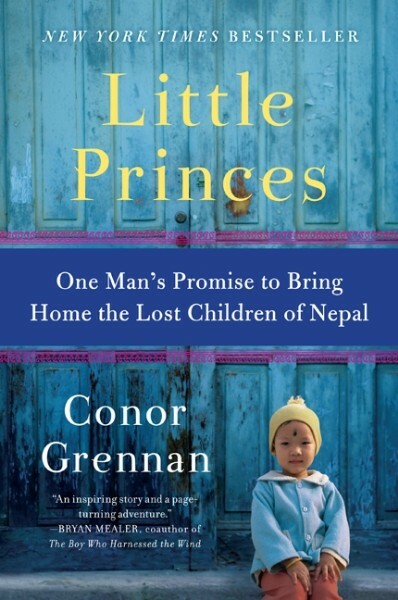 Conor Grennan's Little Princes is a remarkable tale of corruption, child trafficking and civil war in a far away land -- and one man's extraordinary quest to reunite lost Nepalese children with their parents." "For millions across the world uprooted and scattered by war, home is the elusive and unobtainable reward. Conor Grennan is helping fulfill that dream for the lost children of Nepal, who are so crucial to its future. More than just another do-gooder's tale from the trenches, his book is both an inspiring story of service and a page-turning adventure." "Grennan's work is by turns self-pokingly humorous, exciting, and inspiring." "Looking for wider horizons, 30-year-old Grennan opted for a day trip around the world. His journey began at the Little Princes orphanage in Nepal, where he had planned to volunteer for three months before moving on to other adventures. Then he met the children-laughing, bright-eyed, and, he learned, often not orphans at all but victims of human traffickers. So Grennan changed his life in order to change theirs, risking everything to reunite children with their families ... this is shocking, affecting, and, ultimately, a reminder that each of us can make a difference. Yes, Three Cups of Tea comes to mind, but Grennan has his own story and his own style."